Maintaining your exterior areas in good condition is necessary to keep them presentable and make your property look good. We can provide the pressure washing which you need using effective machines and detergents. Our staff carry out excellent jet washing in domestic and business estates done with carefully selected and preliminary tested detergents and machines. 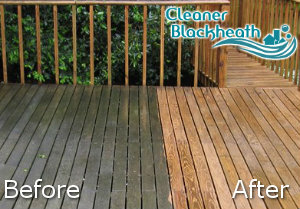 Use our jet washing services which we conduct in Blackheath SE3 to patios, pathways, tiles, brick walls and other surfaces. We guarantee you restored and impeccable surfaces which will look like new. If you require we can apply a sealant over the cleaned areas to keep them protected. If you need help with the sanitising of your pavements, patios, deckings, tiled or natural stone external areas, call us. Our cleaning technicians can provide hot and cold pressure washing of your soiled, slippery and overgrown outdoor areas. They use advanced jet washing machines which work under pressure and are very effective in removal of all kinds of soling, stains, splatters, oil residue and tyre marks. The driveways, car parks, patios, deckings and other areas will be washed well and brought into flawless state. You can count on our reliable staff to carry out professional jet washing in Blackheath to ensure the cleaner state of your exterior hard surfaces. Cleaning of your property’s outdoor areas should be done by experienced and skilled staff with proper equipment. We have what it takes to transform your soiled and overgrown tiles, pavements, deckings and natural stone areas. 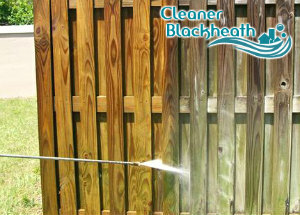 Contact us to schedule the jet washing provided by our company, based in SE3 London to get the expected results. After sanitising your outdoor areas we can apply a sealant over them to keep moss, algae, weeds and dirt away.